Being a creative entrepreneur isn’t easy, that’s for sure! While this post made me laugh, I started thinking about what stages 2-4 represent—imposter syndrome. Ah, yes…good ol’ imposter syndrome. If you’ve been a freelancer for a while, there’s a good chance you’ve heard this phrase before. Heck, you’ve probably experienced it a time or two. As freelancers and creative entrepreneurs, it’s likely we’ll all go through phases where we don’t feel good enough. 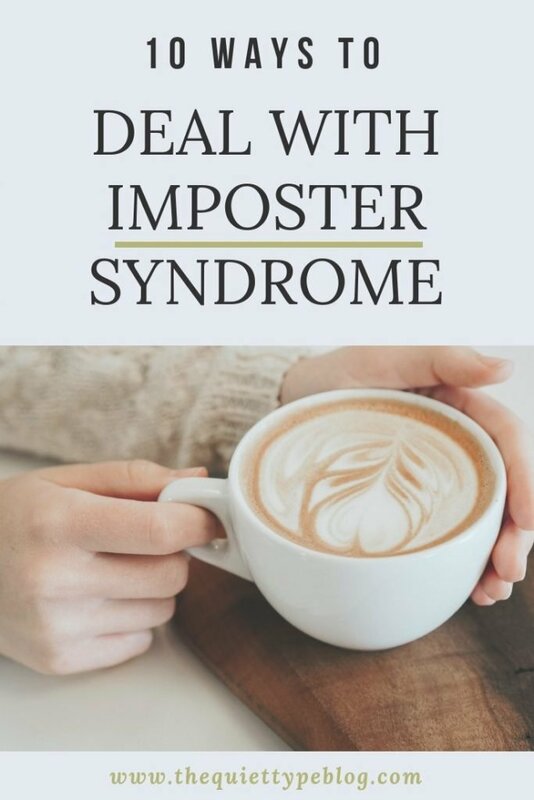 Whether we get caught up in comparing ourselves to others in our industry or we’re experiencing a dip in business, imposter syndrome can add a huge strain on your emotional state. Those that experience imposter syndrome are constantly doubting themselves and feeling like they’re in over their heads. The worst part is you can feel on top of the world and like you’ve got it all figured out one minute, but all it takes is one wrong move to make you feel like you’re in over your head. The (relatively) good news? Pretty much every entrepreneur feels it at some point. Chances are those people you’re comparing yourself to have felt it, too. The truth is, no one is immune to imposter syndrome. Here’s how to deal with it when imposter syndrome strikes. The first step to dealing with imposter syndrome is to accept it. Sure it sounds a little cheesy, but acknowledging it is the only way to overcome it. So, let yourself feel it. Wallow in it for a few minutes if you need to, but then it’s time to deal with it so you can move on. Once you’ve acknowledged what you’re feeling, figure out the cause. Identifying what’s making you feel insecure will help you determine if you’re being too hard on yourself. Once you know why you feel the way you do, you can take steps to overcome the feeling of imposter syndrome. Did you make a mistake on a project? What happened and how can you fix it in the future? Own up to your mistake and try to move on. Did what your client was saying totally go over your head? It happens! As an extension of their business, you’re probably never going to know everything that goes on within it. So, don’t be afraid to ask questions. Your client will appreciate your taking the time to clarify rather than guessing through the whole project. When all else fails, Google! There’s an episode of Grey’s Anatomy where Dr. Amelia Shepherd is getting ready to perform a difficult surgery and to give herself a much-needed confidence boost, she assumes a superhero pose. You know the one; standing up straight, legs spread wide, chin held high and hands on your hips. Does it look odd? Yes. Will you feel a little goofy? Absolutely! But, holding a superhero pose for two to five minutes is scientifically proven to boost your confidence, leadership abilities, and authenticity. Seriously, check it out here. When you’re dealing with imposter syndrome, take a few moments to channel your inner Wonder Woman and remember just how awesome you are. Here’s a secret. I keep an email folder called “Cheerleading.” It might sound silly but in that folder, I keep all my emails from clients telling me how happy they were with my work, people who have reached out from my blog, and client testimonials. When imposter syndrome sets in, I look through that folder and it helps to get me out of my funk. Whether or not you start your own cheerleading folder, remember to own your success. When someone praises you, don’t brush it off. Accept it, own it, bask in it! When imposter syndrome strikes, it may be tempting to hide under the covers and avoid all things work for the next several days. Fight through that feeling and keep working. Quitting when you already feel like a failure is only going to make you feel worse than you already do. Take time each morning or at the end of the day to write down a few things you’re grateful for. Really think about specific things or moments that made you feel good each day. 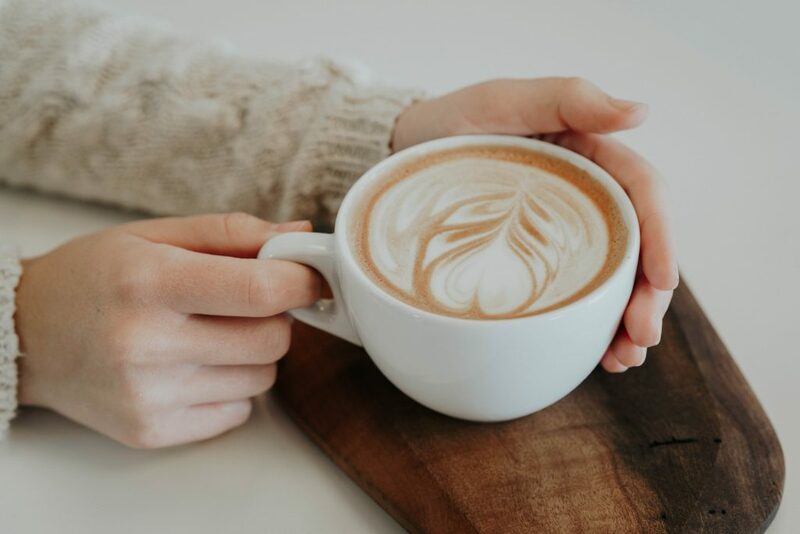 Appreciating the little things that pepper your life can help to put things into perspective when things start feeling bleak. One of the leading causes of imposter syndrome is getting too caught up in what the people around you are doing. It’s easy to do, but it can be really harmful to your self-esteem. Not falling into the comparison trap may be easier said than done, but you can take steps to limit it. Keep your head down and focus on what you’re doing, not what everyone else is doing. You’ll not only be happier, but it will help to bring a unique perspective to what you’re doing because you won’t be tempted to follow what others have done. Sometimes you just need someone to lean on and while friends and family are great, having a mentor who’s been where you are is so beneficial to dealing with imposter syndrome. 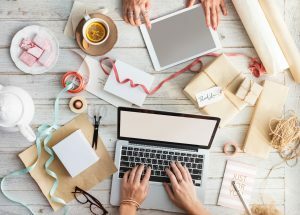 Attend networking events or join Facebook groups to connect with other creative entrepreneurs. If your imposter syndrome is the result of feeling like you don’t fit in or you’re not experienced enough, the best thing you can do is fake it until you make it. Research has shown acting a certain way can help to change your way of thinking and reduce feelings of inadequacy. Basically, faking it until you make it will eventually help you feel more confident over time. Everyone makes mistakes, everyone fails. 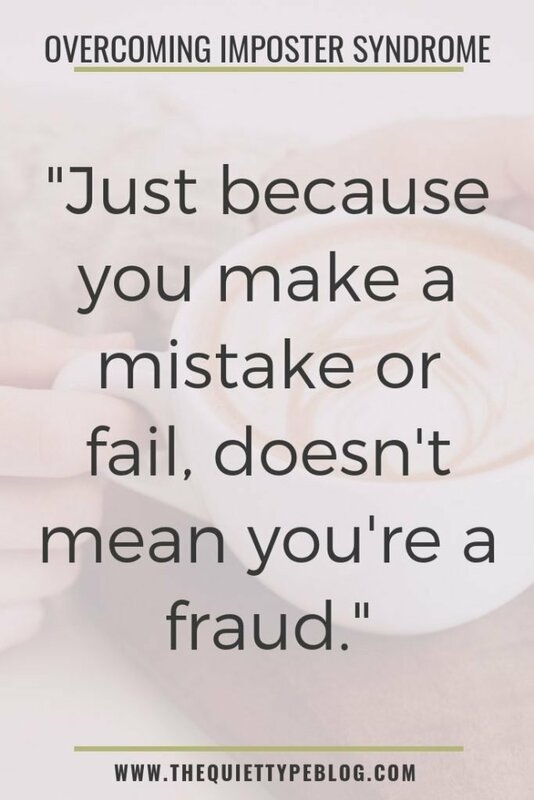 The thing to remember is just because you make a mistake or fail, doesn’t mean you’re a fraud. Channel your inner Jen Sincero and remember, you are a badass that doesn’t quit when the going gets tough. The bottom line is imposter syndrome happens to even the most successful of people. 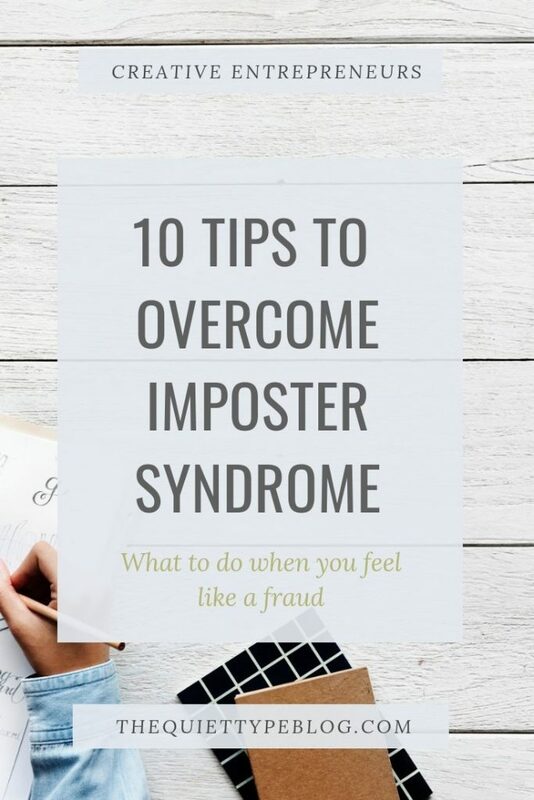 Learning tactics to overcome the feeling will help you bounce back faster and keep the overwhelming feeling of imposter syndrome at bay in the future. I feel like thisall the time. In my full time job, in my side hustles, with my son. I’m starting to feel like I’ll never really not feel like an imposter but this article helps! This is a great post! I think everyone struggles with this at some point, you’re totally right! But you’ve given some great strategies to be able to deal with those feelings. Thank you! Love this! I am new to blogging and you took the words out of my mouth! Thought it was just me! Sometimes we’re our own worst enemies. I have days where I second guess pretty much every decision, I don’t feel like I know “enough”, I’m certain there’s no way I’ll be able to complete the project, etc. For me, the only thing that works is to keep going, and I think I use nearly every other tip here in order to do it. Most of the time, I’ll get through whatever it is, send it in feeling sure that there’s SOMETHING wrong with my work – I should’ve added more references, it’s not as detailed as I’d like, I should’ve pulled more data, made another table/graph/section/graphic… and then the client will write back ecstatic with what I sent. And sometimes… even at that point… although I feel relieved, I still feel like an impostor. Loved this post! I definitely had imposter syndrome during graduate school and it’s happening again now that I’m starting a blog. The failure quote was spot-on. I also like “cheerleader folder.” I definitely keep the good feedback around to remind myself of strengths and wins on the rough days. Thanks!! The cheerleader folder is a great idea and I love the super hero pose! Hi Sarah! The small stuff like that definitely has a big impact! Thanks for sharing! I love the tip about gratitude because it’s so true that we we focus on what we do have or have done well, the other stuff often pales in comparison. I honestly needed to read this post today! Wow, I have been feeling so up and down and all over the place. Thank you for the reminder to stay positive and be grateful! I love this! i just started by blog a few weeks ago, and I feel like a total imposter. It is strange seeing all these beautiful blogs with amazing content and photography because it makes me think back on my blog. Sometimes I feel like a total fake. These are amazing tips and a great article. I love Jenna and have seen that quote!! I feel like this all the time. 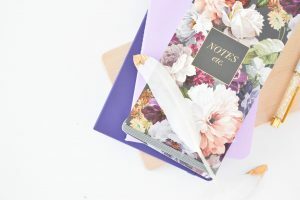 I started my blog last year in January but didn’t commit to it, so this year I am committed to posting and sharing things that are helpful to others. I fell like an imposter because the blog isn’t making money right now and I can tell that people don’t see it as a “real” job. Those thoughts can get me down if I dwell on them for too long. I also know that I have a vision and quitting is not included in it. I think everything you mentioned is great advice! Hi Sara! I’m glad you enjoyed this post. I think you have the right attitude about not quitting. 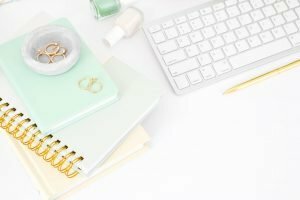 Monetizing your blog can take time but I’m confident you’ll accomplish your goals. Good luck!